Renowned U.S. Geological Survey geologist and minerals consultant Edward M. MacKevett Jr., known by his nickname 'Tigrone' to his friends and family, passed away in Reno, Nevada on December 29th, 2006, shortly after life support was removed. 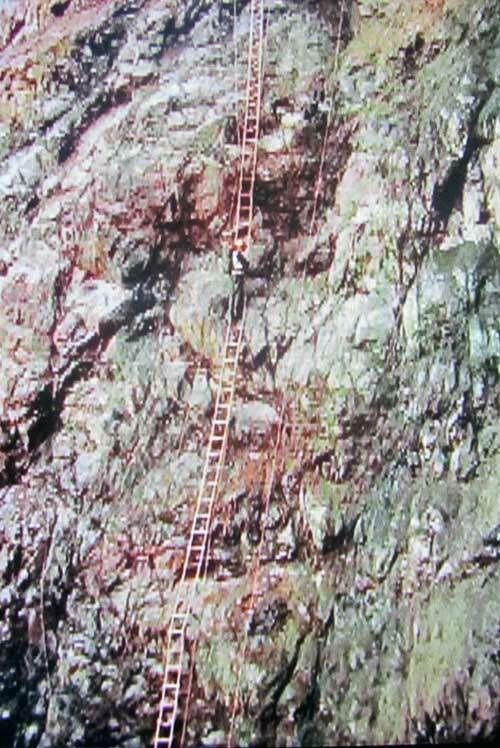 He had received mortal injuries as the result of a fall in his home near Carson City, Nevada. Thus ended the life of one of the premier Alaskan economic geologist of the 20th Century. 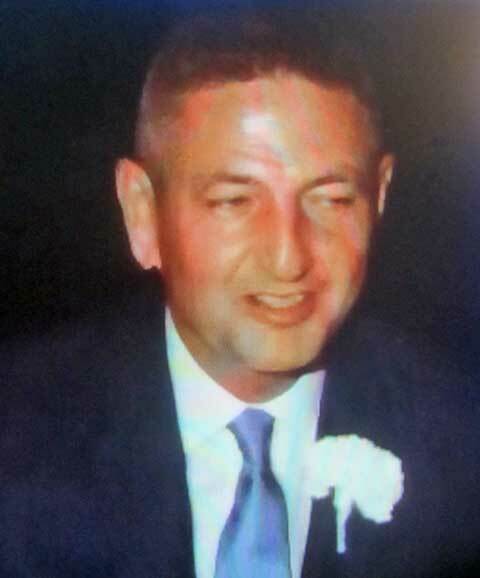 Ed was born in New York City on September 29th, 1918, to Edward and Josephine MacKevett. He was one of two brothers that grew up living in New Jersey and Florida before the family moved to the West Coast. Both brothers dropped out of school during the Great Depression and moved to Miami Beach to live with their grandmother. Most of the time, the MacKevett brothers were on their own. They worked in the commercial fishing industry making a dollar a day and learned the value of hard work. At the age of 14, Ed contracted Dangue Fever, a mosquito-borne, tropical disease that often progresses into a life-threatening, hemorrhagic fever; but he was strong and he survived. When he finally recovered, he hitched a ride on a railroad car to California and lived for a time with his mother. Ed graduated from University High School in Los Angeles in 1938. He attended UCLA, and earned an undergraduate degree in geology. He went onto graduate school at Cal Tech and would eventually earn a Masters Degree in Geology there. Ed was on the boxing team of both universities. At UCLA, he also played football. Later in life, his opponents on the handball court were often surprised by his lightning- fast 'boxer hands' and consistent success, despite him playing much younger players attending Stanford University. MacKevett's slightly stooped, shuffling gate misled many Stanford athletes — he was a near-professional level handball player. Ed MacKevett's university education was interrupted by World War II. He enlisted in the U.S. Navy and became a ship's storekeeper. He served in the Aleutian campaign, the first of many encounters with the Territory and later State of Alaska. 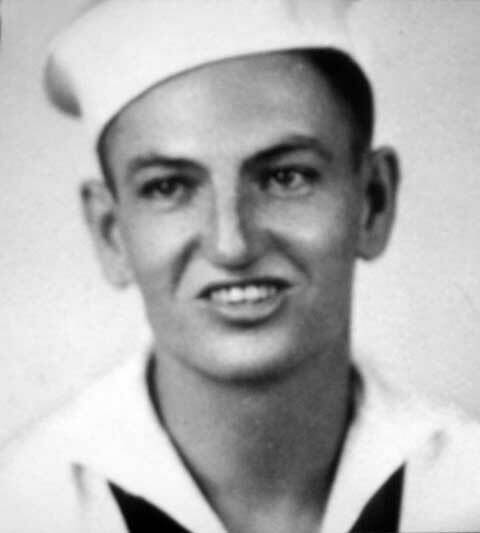 MacKevett served in the U.S. Navy during World War II, mainly in the Aleutian campaign. Field geology would become Ed MacKevett's life-long passion. He began his career in the late 1940s working in Costa Rica and then in Nevada and California. But he is best known for mineral resource studies in Alaska beginning at about the time that the 49th State joined the Union. MacKevett's approach was to produce framework geologic maps in addition to detailed ore deposits studies in significant Alaskan mining districts. Ed often led teams of professionals in an operational model not unlike that implemented during the later USGS Alaska Minerals Resource Assessment Program (AMRAP). 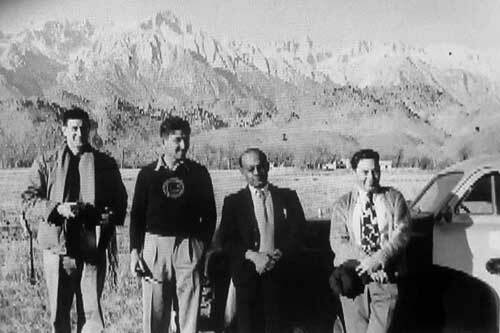 Ed MacKevett, second from left, on a geological field trip near Mount Whitney in southern California, circa 1948. His first major Alaskan study was the Bokan Mountain uranium-thorium-REE deposit, to this day, Alaska's only producer of uranium. The mapping and ore deposit studies, which took place during seven months of field work in 1956-1958, was completed for the Division of Raw Materials of the U.S. Atomic Energy Commission (AEC), which at the time was conducting a broad national canvas of uranium and thorium resources to be used in both peaceful and military applications. Art Kimball, later a well-known U.S. Bureau of Mines Engineer, assisted Ed at Bokan Mountain. Ed worked closely with mine personnel of Climax Molybdenum Company, which operated the Ross Adams uranium mine. MacKevett's detailed petrographic and geochemical studies of the unusual alkalic igneous rocks at Bokan Mountain were considered to be among the finest completed by the USGS during that time. Some of his work at Bokan Mountain was originally classified, but MacKevett eventually received permission from the AEC to publish all of his exhaustive study as a USGS Bulletin in 1963. Bokan Mountain is now being re-evaluated as a Rare Earth Element (REE) resource; MacKevett was aware of and described REE mineralization at Bokan Mountain. MacKevett also undertook studies of radioactive minerals of other parts of Alaska while working at Bokan Mountain. His second major assignment was the study of the Red Devil mercury-antimony deposit in the Kuskokwim Mineral Belt of southwestern Alaska. This field work, which was completed during 1958 and 1959 with Hank Berg, was under the auspices of the U.S. Defense Minerals Exploration Administration (DMEA). Most of the study was the construction of a detailed, underground geologic map, including a structural model, of the complex, mercury-antimony deposit. The underground mapping was augmented by work completed by company geologist Gordon Herreid, as well as first hand technical observations offered to MacKevett and Berg by the mine manager and Alaska Mining Hall of Fame inductee Bob Lyman. erreid and At the time, the Red Devil mine was one of the nation's most important producers of mercury — then a strategic metal. The pioneer fluid inclusion expert, Edwin Roedder (Economic Geology, Volume 58, pages 167-211), visited the deposit with Ed and produced the first fluid inclusion study of an Alaskan mineral deposit. Ed MacKevett near the Red Devil Mercury mine, circa 1959. Ed MacKevett prepares to go underground at the Red Devil mine, circa 1959. At the urging of MacKevett, the U.S. Geological Survey expanded the mercury investigations to include all of southwest Alaska in 1960 and 1961. In this investigation, the C. L. 'Pete' Sainsbury-Ed MacKevett team systematically evaluated more than twenty, past producing mercury mines and promising prospects. Sainsbury and MacKevett utilized the excellent framework mapping of much of the field area completed previously by Alaska Mining Hall of Fame inductee Wallace Cady. Although this work did not lead to new mercury discoveries, it would be used in later years to help define world class gold resources in the Kuskokwim Mineral Belt such as at Donlin Creek. MacKevett assisted many prospectors in southeastern Alaska, including Kenny Eichner, Paul Pieper, Joe Soloy, Merrill Palmer, George Morelein, and Don Ross by conducting prospect examinations at various locales in that region. Some of these prospectors would later become pioneer Alaskan aviators. Ed completed work at the Sumdum copper-zinc deposit south of Juneau in southeastern Alaska, and later the Glacier Creek, a.k.a. 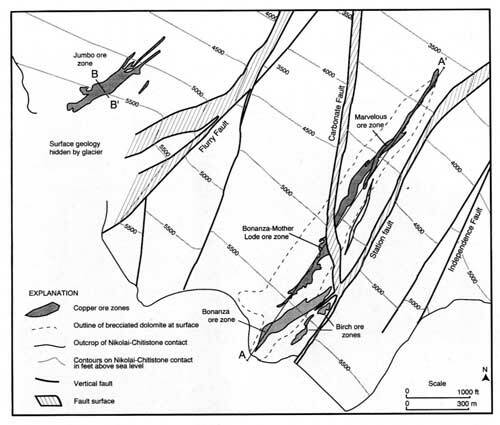 Palmer barite-base metal deposit near Haines; the latter now under detailed review and analysis by a Canadian mining company. Ed worked on and published results of investigations of iron-copper skarn deposits in the North Bradfield River east of Wrangell. MacKevett and a group of USGS mappers, (including AMHF Board Member Chuck Hawley), petrographers and exploration geochemists conducted geologic mapping and mineral deposit studies during the much of the 1960s in the then largely unknown Glacier Bay National Monument. This region was found to contain a diverse group of mineral deposits including porphyry molybdenum-copper, disseminated gold, volcanic-related massive sulfide, and mafic magmatic deposits. Ed personally studied the important nickel, cobalt, platinum and copper deposits there at Brady Glacier. Probably MacKevett's most important Alaskan contributions took place in a region for which he would become synonymous--the Wrangell Mountains, which included the famed Kennecott copper-silver deposits. From the late 1960s to the late 1970s, Ed MacKevett produced ten detailed geologic maps of the central McCarthy quadrangle, which constituted his framework mapping of the Nizina Mining district. In 1978, He and his colleagues published the geology of the entire McCarthy quadrangle at a scale of 1:250,000. Ultimately, MacKevett would extended his geologic work to other map sheets southward to the coast and westward to Valdez and beyond. 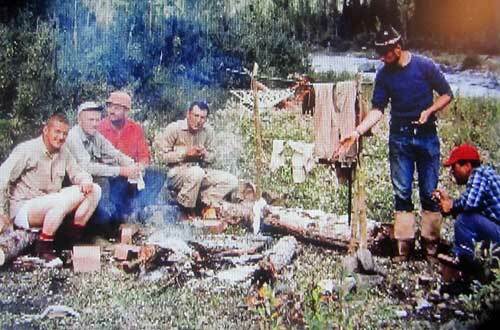 MacKevett would have many geological colleagues work with him from his May Creek camp beginning in 1961. He would host other guests, including numerous bush pilots, local prospectors and miners, U.S. Senator Earnest Gruening, acclaimed Alaskan artist Fred Machetanz, and many McCarthy area residents. 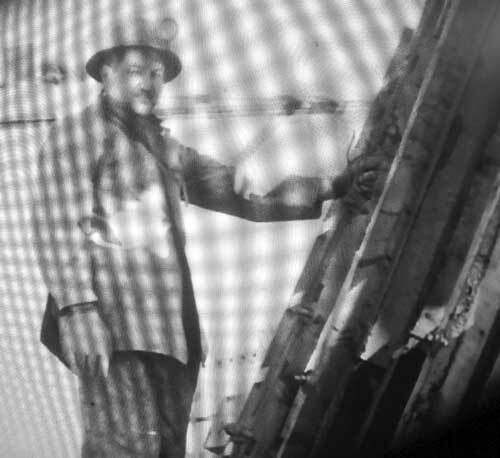 Senator Greuning, who had previously visited MacKevett's camp during his Glacier Bay investigations, was interested in Alaska's mineral endowment that might ultimately lead to a source of jobs and revenue for the new State. "Ed — I have bad news. Both Don Miller and Bob MacColl drowned after their raft capsized in the Kiaga River. We have flown their bodies to Glenallen." MacKevett's initial reaction was one of disbelief and grief. Don Miller was a close friend that worked with him on a number of projects for years. But he recovered, grabbing an overnight bag and shaving kit, and made his way first to May Creek via Texas Gulf helicopter and later to Glenallen via fixed wing aircraft to take charge of the situation for the USGS. He, of course, had to first identify the bodies and subsequently make appropriate communication with the USGS regional office in Anchorage and the head office in Menlo Park, California. He would participate in transport of the bodies from the field into Anchorage and would facilitate contact with family members of the deceased. Don Miller and his field hand, Bob MacColl, were geological experts of the Chugach Mountains. The Don Miller Hills near Katalla and MacColl Ridge in the southern McCarthy quadrangle would be named in their honor. The U. S. Geological Survey named a boat after Miller — the Don J. Miller, which served as a research vessel in Alaska's coastal areas for several decades. Don's daughter, Marti L. Miller, would follow in her father's footsteps and would herself have a long and distinguished career in Alaskan geology. She is currently the head of the USGS office in Anchorage. Ed was as much a geologic mapper as an ore deposits expert. Ed's eye for regional geology enabled many studies to identify key Paleozoic relationships between the Alexander terrane and Wrangellia — as exposed in the Wrangell Mountains--thus helping many other geologists to better understand terrane analysis in southern Alaska. He first recognized the Border Ranges Fault in the McCarthy quadrangle and, with colleague George Plafker, traced this fundamental structural boundary over most of its length in Alaska. 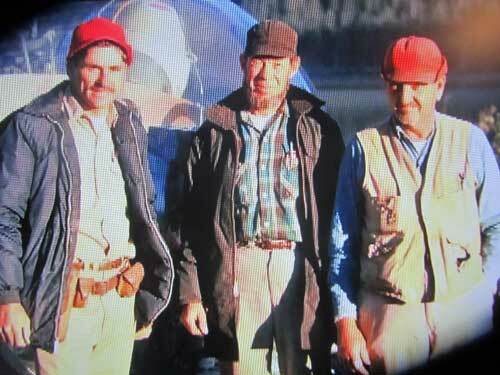 Ed MacKevett (right) with George Plafker (left) and unidentified helicopter pilot in the Wrangell Mountains, circa early 1970's. The Plafker-MacKevett team would provide an important new tectonic model that described the geological evolution of South-Central Alaska — still relevant today. 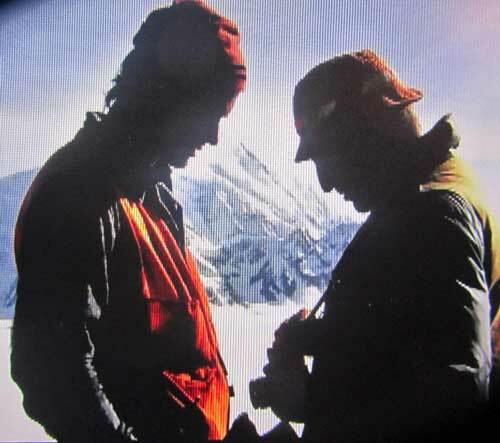 Travis Hudson (left) and his mentor, Ed MacKevett (right), confer on the geology of the Wrangell Mountains . A helicopter problem occurred near May Creek camp, circa early 1960's. 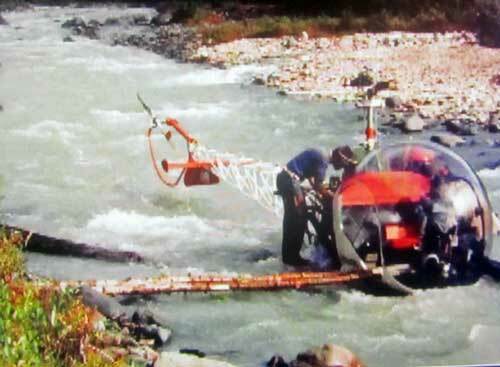 Geological crew, which included Ed MacKevett (in red shirt) and Hank Berg (center) await pickup to May Creek after their helicopter crashed in the river. MacKevett and colleague, Augustus Armstrong, studied, in detail, the Chitistone Limestone, the host rock for the bonanza copper-silver ore deposits at Kennecott. They studied the minute sedimentary features of the Chitistone Limestone, and began to better understand the stratabound nature of the structurally controlled ore bodies at Kennecott. The research team acquired fluid inclusion and sulfur, oxygen and carbon isotopic data from the layered rocks and the copper deposits themselves. MacKevett and Armstrong agreed with Alan Bateman and Don McLaughlin, who first published the classic paper of the Kennecott deposits many years previously, that the source of the copper was likely the underlying Nikolai Greenstone. But they argued that a complex hydrologic and fluid mixing model involving sulfur sources in a sulfur-rich phase within the Chitistone limestone, and permeability related to structural zones were responsible for transport of copper-bearing fluids into fault zones more than 100 million years after deposition of the rock section. MacKevett's mechanism for copper deposition was a hydraulic fracturing event that allowed movement of copper up-section from the Nikolai Greenstone into a sabka facies of the Chitistone along high angle structural conduits. More recently, Jason Price and his colleagues (Economic Geology, Volume 109, pages 581-620) believe that copper was extracted from the Nikolai Greenstone during low grade regional metamorphism — using a mechanism not unlike one invoked to describe the formation of mesothermal gold deposits. Obviously, deployment of new laboratory technologies has resulted in modifications of ore deposit models through time — from Bateman's original hypogene origin of the Kennecott ore bodies to more contemporary theories invoking hydrologic head and low grade regional metamorphism as mechanisms for transport and concentration of the rich copper deposits at Kennecott. Ed retired from the USGS in 1980. His first consult was on a gold prospect in Costa Rica. As a consultant for ARCO, he returned to the Wrangell Mountains just before Wrangell St. Elias National Park and Preserve was established in December, 1980. He kept busy in subsequent years with long time geological colleague Rob Foster exploring for mineral deposits throughout the western U.S. Foster had completed a PhD Dissertation in the Livengood Mining District of Interior Alaska during the late 1960s. 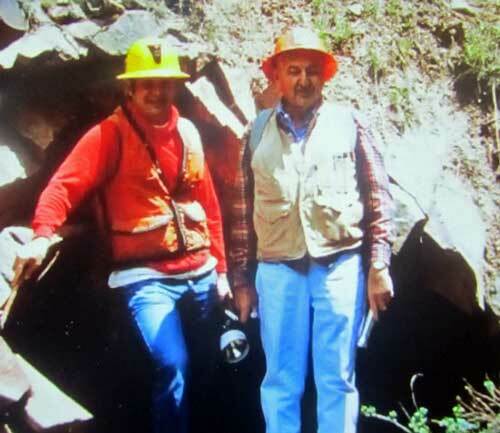 Ed remained active with his consulting partner Foster into the early 1990s exploring metallic mineral deposits and districts in Nevada, California, and Montana. Travis Hudson and Ed MacKevett inspect underground mine workings at the Stray Horse Mine near Helena, Montana, circa 1986. 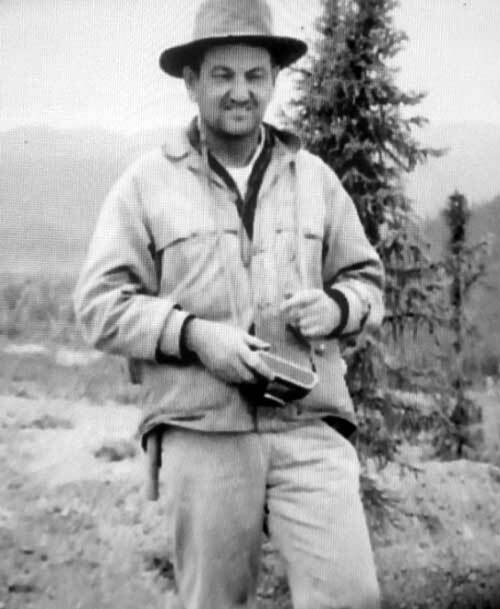 MacKevett's final contribution to the Wrangell Mountains area would be his involvement with his close friend and colleague Gary Winkler and others in a pictorial summary of the geology of Wrangell Saint Elias National Park and Preserve, which was released as a USGS Professional Paper, just a few years before his death. This photographic summary has proven to be an effective educational tool for a general public that wants to better understand the geology of America's largest National Park. Throughout his life, one of Ed's passions was sport fishing. He fished the Atlantic Coast from Miami to New York and the Pacific Coast from Baja, California to the Kenai Peninsula in Alaska. According to a lifelong friend, Travis Hudson, Ed MacKevett never met a fish that he didn't like. MacKevett was a self-taught expert of birds and butterflies and could identify them and assign their scientific Latin names. He liked to play the harmonica while listening to Mariachi music and was an excellent poker player. Overall Ed was a very good gambler — his trips to Nevada were not just to explore for mineral deposits. Planar projection of three of the principle Kennecott deposits — Bonanza, Mother Lode, and Jumbo, which Ed MacKevett worked on with Gus Armstrong and others during the 1970's. From MacKevett and others (1997). Ed MacKevett examines near-vertical exposures of the Kennecott-type, Binocular prospect; circa mid-1970's. Ed married his first wife Eddie in San Francisco in the early 1950s, and from that union would have a daughter, Patricia. Later, they divorced. In 1968, Ed married his second wife Betty. They shared a wonderful life in Mountain View, California during most of Ed's career with the U.S. Geological Survey. After Ed retired, Ed and Betty moved several times and lived in Morro Bay, San Luis Obispo, and finally Rohnert, all in California. Betty passed away in 1999. In 2000, Ed moved to Carson City, Nevada. He quickly learned to love the mountains and change of season that are not so apparent in his previous residences in California. He was close to his exploration colleagues in the mineral industry, and was often sought out to consult in mineral deposit evaluations. Ed was quite the extrovert throughout his entire life and during his final years, hosted many dinners and get-togethers at his Carson City home. In Nevada, he met a fine lady companion, Barbara Burrows, who taught him how to dance. Barbara and Ed traveled together for several years before Barbara's passing in 2006, a few months before Ed's death. 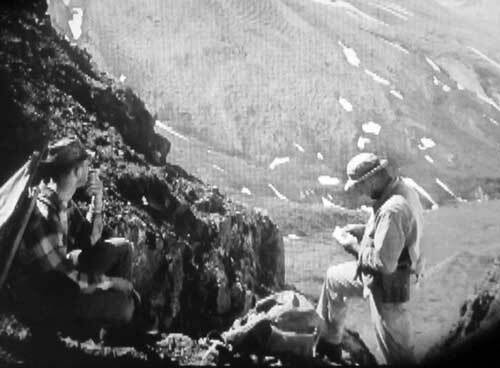 Ed MacKevett collecting field data while mapping in the Wrangell Mountains, undated. 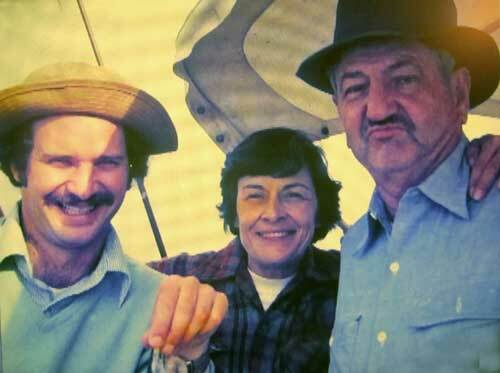 Travis Hudson and Betty and Ed MacKevett on a fishing trip on the Sacramento River, California, circa 1977. Ed MacKevett was a steadfast friend to those that knew him; he rarely criticized or judged people. He was humble and never talked much about himself or of his many economic geology achievements. Those in the mineral industry held him in high esteem and frequently sought out his ideas on Alaskan metallogenesis. Alaskans involved in both regional geology and mineral resource analysis today honor the memory of this humble man for helping answer how and where many of Alaska's important metallic mineral resources occur. This biography benefited from a 2007 article published in the Journal of the Alaska Miners Association. Much of MacKevett's work in the Wrangell Mountains was described in detail in a private unpublished manuscript produced by him in 2005, shortly before his death. This article also included recollections from Ed's brother Nate and his good friends George Plafker and Travis and Patti Hudson. Conversations and recollections by Ed to Chuck Hawley and the writer were also used. Selected bibliographic sources are listed below. Armstrong, A.K., and MacKevett, E.M. Jr., 1982, Stratigraphy and diagenetic history of the lower part of the Chitistone Limestone, Alaska: U.S. Geological Survey Professional Paper 1212A, 26 pages. Editor, 2007, Edward M. MacKevett: The Alaska Miner, Volume 35, Number 1, pages 8, 14, 26. Gardner, M.C., Bergman, S.C., Chushing, G.W., MacKevett, E.M., Jr., Plafker, G., Campbell, R.B., Dodds, C.J., McClelland, W.C., and Mueller, P.A., 1988, Pennsylvanian pluton stitching of Wrangellia and the Alexander terrane, Wrangell Mountains, Alaska: Geology, v. 16, p. 967-971. MacKevett, E.M., Jr., 1963, Geology and ore deposits of the Bokan Mountain uranium-thorium area, southeastern Alaska: U.S Geological Survey Bulletin 1154, 125 pages.
' MacKevett, E.M., Jr., 2005, A geologist's history of the Kennecott Mines and McCarthy: Unpublished private manuscript, 15 pages. MacKevett, E.M. Jr., and Blake, M.C., 1963, Geology of the North Bradfield River Iron Prospect, Southeastern Alaska: U.S. Geological Surevy Bulletin 1108-D, 21 pages. MacKevett, E. M. Jr., Brew, D.A., Hawley, C.C., Huff, L.C., and Smith, J.G., 1971, Mineral Resources of Glacier Bay National Monument: U.S. Geological Survey Professional Paper 632, 90 pages. MacKevett, E. M., Jr., and Plafker, George, 1974, The Border Ranges fault in south-central Alaska: U. S. Geological Survey Journal of Research, v. 2, no. 3, p. 323-329. MacKevett, E.M. Jr., Robertson, E. C., and Winkler, G.R., 1974, Geology of the Skagway B-3 and B-4 Quadrangles, Southeastern Alaska: U.S. Geological Survey Professional Paper 832, 33 pages. MacKevett, E.M., Gardner, M.C., Bergman, S.C., Cushing, G., and McClelland, W.D., 1986, Geological evidence for Late-Pennsylvanian juxtaposition of Wrangellia and the Alexander terrane, Alaska: Geological Society of America, Abstracts with Programs, v. 18, no. 2, p. 128. MacKevett, E.M. Jr., Cox, D.P., Potter, R.W., and Silberman, M. L., 1997, Kennecott-type deposits in the Wrangell Mountains, Alaska — high grade copper ores near a basalt-limestone contact: Economic Geology Monograph #9, pages 66-89. Price, J.B., Hitzman, M.W., Nelson, E.P., Humphrey, J.D., and Johnson, C.A., 2014, Wall-rock alteration, structural control, and stable isotope systematics of the high grade copper ore bodies of the Kennecott district: Economic Geology Volume 109, pages 581-620. Roedder, E., 1963, Studies of fluid inclusions, 2. Freezing data and their interpretation: Economic Geology, Volume 58, Pages 167-211. Sainsbury, C.L., and MacKevett, E.M. Jr., 1965, Quicksilver deposits of Southwestern Alaska: U.S. Geological Survey Bulletin 1187, 86 pages, numerous plates at variable scales.